Anti-Personnel 44 Special. 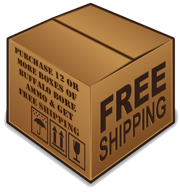 Field Proven pistol and handgun ammo. Maximum firepower ammunition. Best ammunition for pistols and handguns for sale. Buffalo Bore. Strictly big bore. Strictly Business.